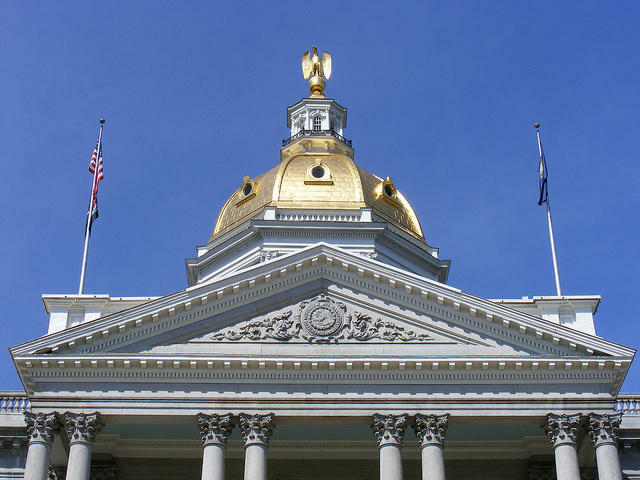 New Hampshire has had one of the oldest state legislatures in the country, but that's starting to change. This next legislative session will have several dozen lawmakers under the age of 40, and this includes 19-year-old Cassie Levesque, a Democrat who will represent the town of Barrington. Levesque will be one of the youngest women ever to serve in the New Hampshire House of Representatives. Morning Edition Host Rick Ganley spoke with her about her win. So now that you've won, how are you feeling? Has the reality settled in a little bit? I was very shocked by it, because my town is very mixed and diverse. So each year it's different, and I was very happy and very shocked and it took a while to sink in. Gov. 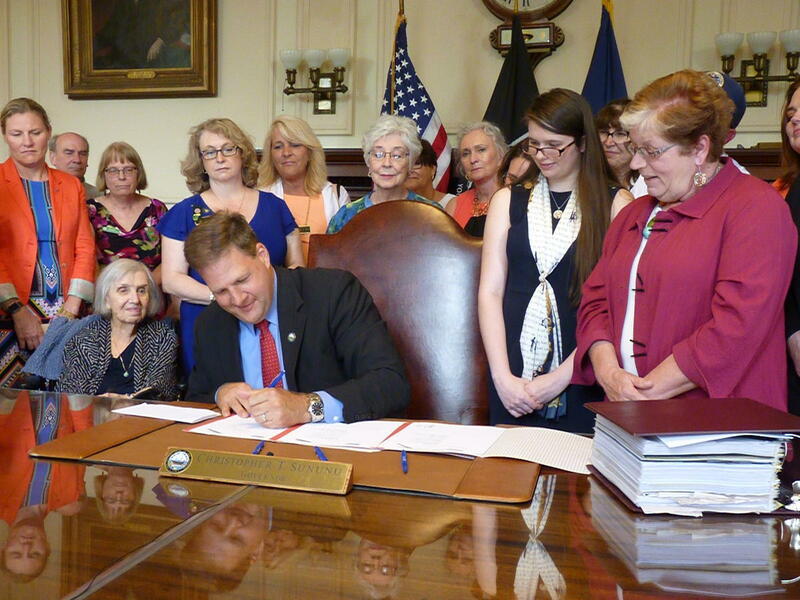 Chris Sununu signs a bill raising the marriage age to 16. On his left is Cassie Levesque, now a state representative who championed the measure as a private citizen. I know this past session you worked as a private citizen on legislation to raise New Hampshire's child marriage age. You worked for a long time on that. How does your experience in working towards getting that law passed, how do you think that will inform how you work as a representative? I definitely know how the legislature works a little bit more than most new representatives starting, and I have a lot of other state representatives that I worked with and other state senators who will help me through that process. And I've already made an impact in the state Legislature already and I know that I can make an even bigger one. How do you think having a younger legislature overall can change representation? How can it change things? For so many years we've been pushing the youth out of New Hampshire by college tuition and not making it affordable for them to live and stay here. And so if we have people of the younger generation in the legislature, they'll make it easier for us to make sure that the youth does have a voice and can stay in New Hampshire. So what are some of the priorities you would see that this legislature should be looking at right away? Definitely looking at affordable education, and looking at minimum wage and figure out ways that we can compromise. We have a very low minimum wage and maybe compromising a little bit will help make it so that they can afford to live here.